Oh, friends. I've missed you guys! Sorry to go MIA there for a while, but I have a good reason. And that reason would be that I just finished catering a dessert bar for 200 people. Which meant creating nearly 600 wee pieces of various desserts and confections from scratch, as well as styling the table in such a way that it would be inviting and festive, but still support my personal crusade against the crazymaking TABLESCAPE. It also meant neglecting my child and challenging my husband's wedding vows. And I will tell you all about it soon because it was a major, Oprah-esque, Life! Chaaaang-iiiiing! experience. But for now I extend to you a peace offering for disappearing on you during high baking season. It involves beer, chocolate and cake. I'm trying real hard to make it up to you, see? This cake is really something special. The original recipe comes from Sky High, a Bible of celebration cakes that I've had on my nightstand more often than not, for pre-bedtime reading. It constantly inspires me, and its recipe for Gingerbread Beer Cake popped out at me like an eager toddler suddenly appearing at mattress level at 6:30 in the morning. "Hi!" this cake said. "Bake me, bake me, bake meeeee! It's November and I am just so totally perfect right this minute, see?! I'm telling you--I! Am! Awesome! Do you hear me?!" And really, who can argue with that sort of relentless insistence? This recipe was the squeaky wheel of my week, even when I was elbow-deep in filling for 200 teeny-tiny whoopie pies. Reading the epic ingredient list for this cake--with its dark beer, mounds of chocolate and ground mustard in addition to what might amount to the entire contents of your spice rack--may seem a bit crazy and all too much at first. But believe me when I say that the balance of all the bold flavors here is one of the more magical combinations I've baked up all year. For real. And if you've got any non-pumpkin pie people coming to your holiday gatherings (towards whom I cast no judgement--ahem, Communists--what? ), this cake would absolutely be the perfect counterpoint for the dessert table. This cake is a very versatile little number. The original recipe makes a three layer, 8-inch round cake, but I halved the recipe and made a smaller sheet cake of sorts in an 8x8-inch square pan and it was terrific (the baking time was increased by about 15 minutes because a sheet cake will be thicker than the rounds--just keep checking it). I'm betting the original amounts would work as a sheet cake in a 9x13-inch pan, too, for a larger crowd--check out my favorite pan size conversion chart for help. For cupcakes, I'd recommend doing a half cake flour/half all-purpose flour mix to make the cake a little sturdier, because it is a rather light, tender cake. 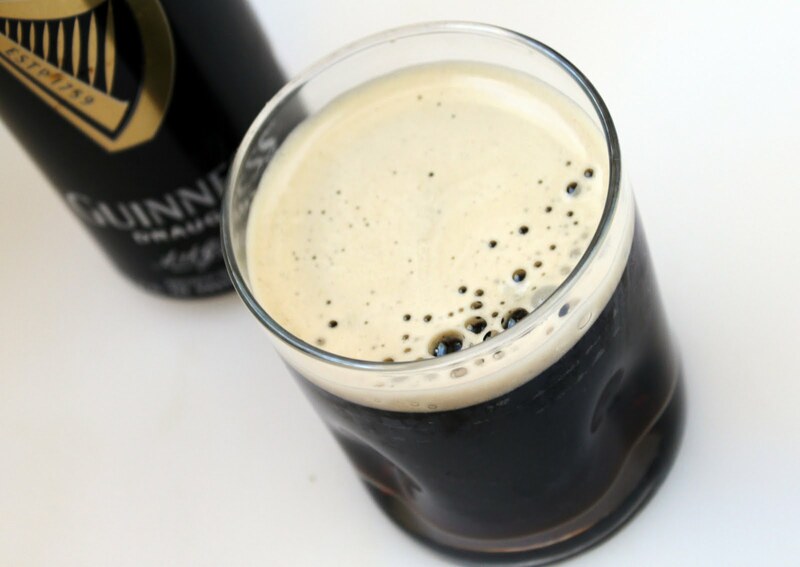 I used Guinness for my cake and loved the flavor, even though the author said a stout would be too heavy (rebel!). The author recommends a porter. I also used barley malt syrup instead of molasses because it's what I had on hand, and thought it was perfection--I would make it the same way again. For the spices, don't be afraid to play with the amouns a tiny bit to suit your tastes, but don't leave out the ground mustard--the extra bit of crazy really makes for a gentle heat that's just spectacular. Preheat oven to 350 degrees. Butter 3 8-inch cake pans and line the bottoms with rounds of parchment paper. Butter the parchment, too. In the bowl of an electric mixer, whisk together the flour, sugar, cocoa powder, cinnamon, ginger, cardamom, mustard, nutmeg, cloves, baking soda, baking powder, and salt. In a medium bowl or large measuring cup, whisk together the beer, molasses (or malt syrup), buttermilk and vanilla. 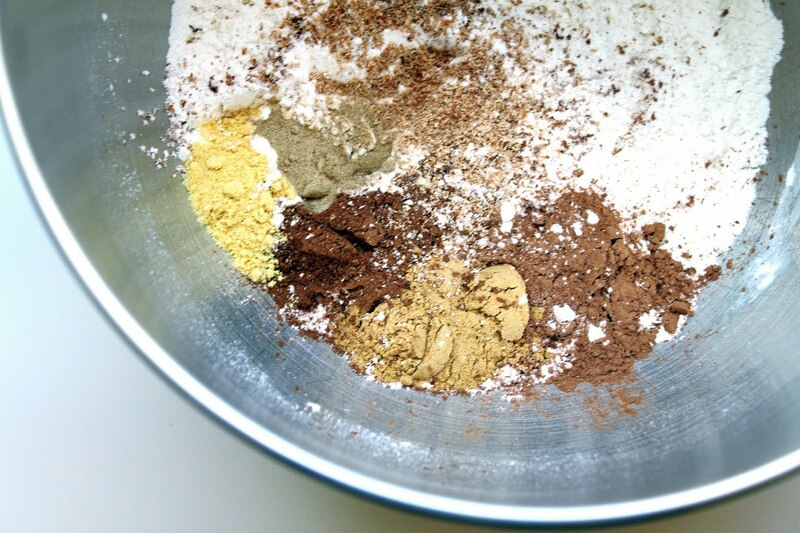 Set the bowl of dry ingredients on the mixer. On low speed, stir in about two-thirds of the beer mixture and the softened butter. Once all the ingredients are incorporated, crank the speed up to medium and beat until the batter is lightened in color and aerated, about 3 minutes. With the mixer running, beat in the eggs one at a time. Beat in the remaining beer mixture. Fold the batter by hand a few times to ensure everything is well-mixed. Pour the batter evenly among the prepared pans. Bake the cake layers for 25-30 minutes, or until a cake tester comes out clean. Cool the layers in their pans for 10 minutes, then invert cakes onto a cooling rack and remove the parchment paper liners. Allow the cakes to cool completely, at least 1 hour. 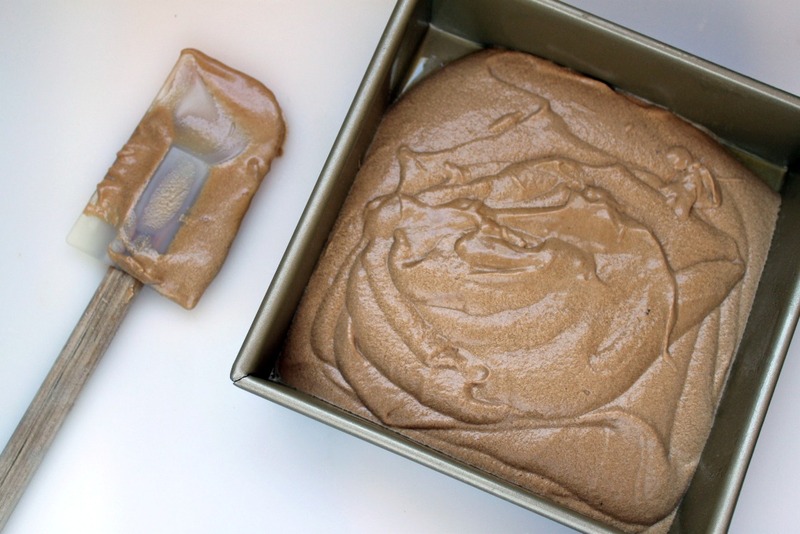 To make the frosting, melt together the chocolate and cream (you can do this over a double boiler or in the microwave with 45-seconds bursts of high power). Whisk the chocolate and cream together until smooth. Let the chocolate cool considerably, until it thickens to the consistency of mayonnaise. In a stand mixer fitted with the paddle attachment, beat the butter until it is creamy. Scrape in the chocolate and beat again until the frosting is smooth and light, just about 3 minutes. Avoid overbeating, as the frosting may separate. Place on cake layer flat side up on a serving platter, and tuck strips of parchment just under the edges of the cake to keep the plate clean. 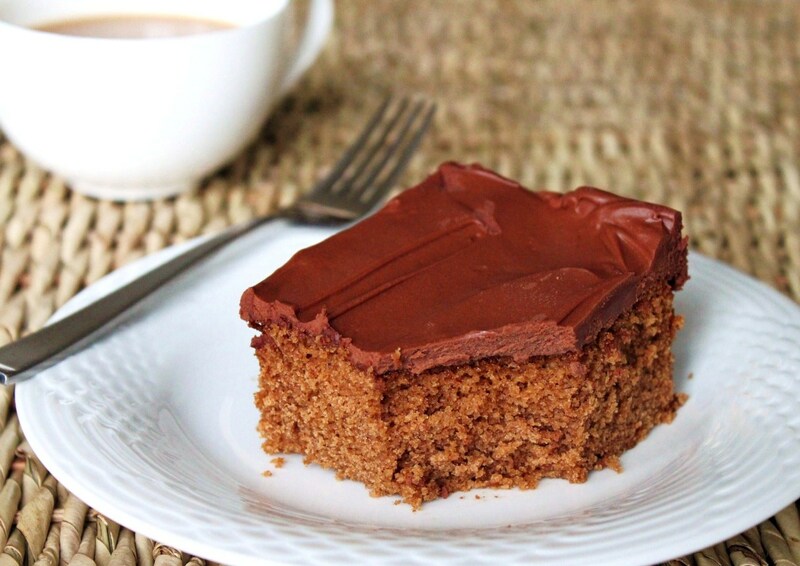 Dollop 2/3 cup of frosting on the first cake layer and spread evenly, right up to the edges. Repeat with the second layer. Place the third layer on top, and frost the top and sides with the remaining frosting. Let the cake sit at room temperature for at least 30 minutes before cutting and serving to allow the frosting to set up a bit. Keep leftovers in a cake keeper at cool room temperature or refrigerate them, letting the cake come to room temperature again before serving.